Anti-bullying campaigns are missing the point. Some of you might already hate me for the title of this blog. And I can’t say that I blame you. Maybe you think I didn’t think it through quite enough. 1. I think its sometimes called for (case in point). 2. I want you to know where I’m coming from; that I’m not just stirring up trouble because I like rocking the boat. I don’t. In fact, if you know me, you might categorize me as a “people pleaser”. 3. By now, the beginning of this post is behind us, so I’m safe to apologize. I’m sorry if what I share here offends you. I’m simply speaking from my observations, thoughts, and convictions. You may have some views & beliefs that stand diametrically opposed to mine. And I love the fact that you’ve read this far. And I respect people with differing views than mine. They’re some of the most fascinating people I know. There’s been such an increase on anti-bullying campaigns recently. My own kids (I have 4) have all brought home pages, newsletters, special alerts, and even contracts complete with a line for signatures (theirs and mine) that they’ll help keep their hallways, classrooms, playgrounds, cafeterias, school buses, neighborhoods, communities, and world free from bullying. Do I think that’s a bad idea? (Who am I, Hitler?) Of course I don’t think it’s a bad idea. Promoting messages that encourage kindness, cooperation, patience, acceptance, and all around niceness is good. Very good, in fact. Your sense of your own worth doesn’t come from you. It can’t. We can get all “Stuart Smalley” and talk to the mirror, “I’m good enough, I’m smart enough, and dog-gone-it, people like me.” And that’ll work for a while. That is, until the opposing message comes in and crushes it. And it will. Not “if”, but “when”. The current reality of our school systems bear that fact out loud and clear. So where does your value come from, if not from you? It comes when we recognize that you and I are created. We are crafted by the creativity of a thoughtful, loving, powerful, and passionate Creator. It is when we take the Creator out of the equation that the creation has no solid place to stand. What does this Creator say about you? Well, to name just a few things: You are His design, His desire, His affection, His attention, a recipient of His love, His mercy, His compassion, His direction, His creativity, His beauty, and His grace. There are probably 100 other things that describe how He sees you, but just those–if taken to heart–should begin to shift your view of your value more than any campaign can. When THAT Creator is heard and what He has said about you is accepted and embraced, something happens inside. Something that not only lets you believe what He says about you, but lets you treat others differently because you realize its true about them as well. As a victim of bullying, I absolutely stand in support of anti-bullying efforts. But as someone who sees myself AND YOU as the workmanship of my Creator, I will always share that message as well. What about you? 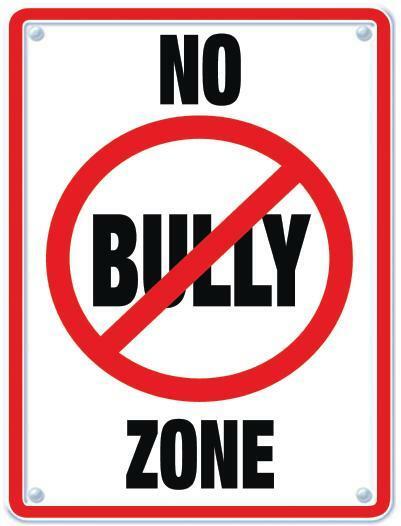 How do you think we can best address the issue of bullying? ← Help Them Grow…Past Us.